Learn more about our services and what we can offer you. AJF Laboratories is pleased to introduce you to our unique, well established orthotic laboratory and gait analysis clinic. Andrew Fisher is our senior partner and has been the driving force behind AJF Laboratories since its inception in 1986.He is fully committed and enthusiastic in the field of gait analysis and biomechanics and has worked in a range of settings including Bisham Abbey National Sports Centre and RAF Cosford Rehabilitation unit. Currently he is working as part of the Foot and Ankle Team at Spire Parkway Hospital Solihull. Andrew constantly reviews clinical research into the efficiency of foot orthoses and has developed a range that has shown to resolve and/or improve many of the clinical lower limb conditions listed below. Piriformis Syndrome (Irritation of the sciatic nerve causing sciatic pain,low back pain and leg pain). 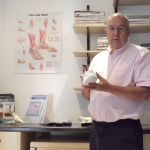 As well as providing a first rate service to other practitioners, his clinical knowledge comes to the forefront in the management of patients with a range of lower limb conditions, however complex. Aimed solely at the experienced musculoskeletal practitioner we provide exceptional orthoses and a personalised full support and advice service.As an independent laboratory we are able to quickly respond to developments in orthotic prescription and manufacture, whilst at all times placing your patient at the centre of our processes.Currently AJF Laboratories uses two materials to manufacture their orthoses -Carbon Fibre and Polyethylene. Research has shown that these materials provide the most effective results, whether semi-customised devices or casted.The assessment of your patient will determine the type of orthoses required. 1.Mild biomechanical issues generally require a semi-customised device only –can also be used as a trial orthoses. 2.For more complex and severe conditions such as Tibial Posterior Tendinopathy or a supinated foot the best device would be a casted prescription orthotic.These factors will determine which of our range to prescribe, but if you are still unsure we would welcome your call when we can advise you as required. Orthoses are customised according to the patient’s condition. They can be made in either material with polyethylene being a lower cost alternative to carbon fibre. They come in standard, fashion and sports and can be full length or 3/4 length dependent on condition, orthoses type and footwear. A neutral plaster of Paris cast is needed to manufacture these devices for the complex foot including supinated and acquired flat foot. Sent to the laboratory with a completed prescription form, the turn around period is usually 10 working days. Andrew Fisher has a wide experience with a range of practitioners in treating a varied patient/client base.Choosing our laboratory will benefit both you and your patient. Our level of involvement can be simply provision of orthoses prescribed by yourself to a full support service including advice about orthotic prescription and other treatment modalities that may be needed. Visits to the laboratory are welcomed where you can see our manufacture processes and our recently refurbished gait analysis clinic.In some instances you may prefer to refer patients direct to us.Specialising in the assessment and treatment of chronic conditions including heel pain, running injuries, knee pain and low back pain we can assess and provide, where appropriate, prescription orthoses within a day.For further information contact Andrew at the laboratory. At our clinic we can treat and resolve a range of conditions which will give you relief from pain and improve your quality of life. The first step is to give us a call – in some instances just some simple free advice over the phone is all that is required. If further help is needed we may suggest semi-customised orthoses (Insoles) and which can resolve your symptoms without further intervention. Finally, in more complex cases, a visit to Alveley may be suggested where a full assessment, casting for prescription orthoses if appropriate and referral to other specialists eg for an ultrasound scan, injection therapy, may be arranged. 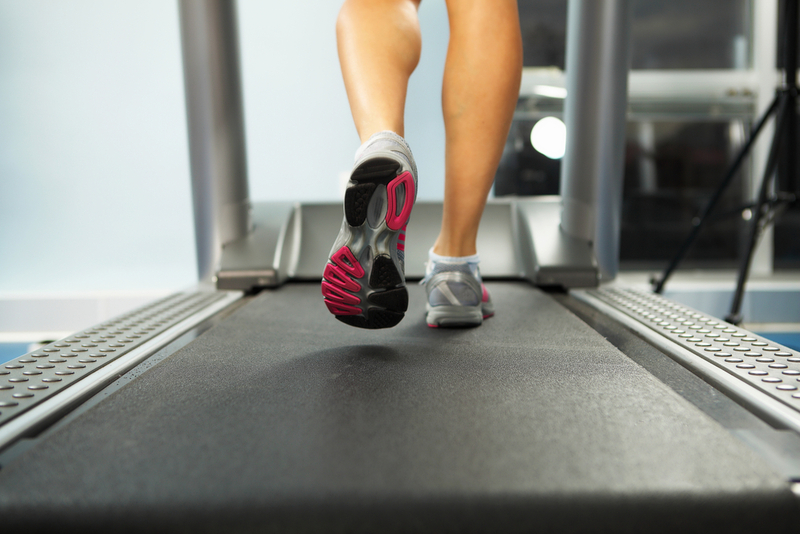 The cost of the initial assessment and gait analysis will be advised when the appointment is made and the cost of orthoses, if needed, will be advised at this appointment. The assessment includes taking a full history, looking at your gait, reviewing footwear and discussing other possible treatment modalities. Prefer to see us in a day? A full assessment and fitting of casted orthoses can be completed in a day at no additional cost. 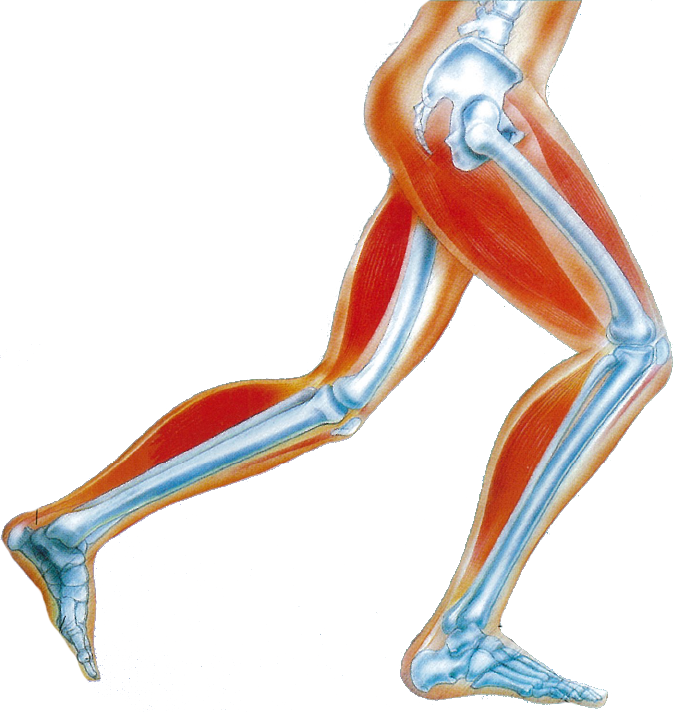 Several conditions in the lower limb can be related to biomechanical dysfunction (i.e. poor posture of the foot and leg) and can be treated effectively through the use of orthoses (prescription insoles). By treating the causes of these conditions symptoms will resolve quicker, will be less likely to re-occur and you will be able to return to normal activities including sports. Click on the diagram opposite for more information about just a few of the conditions we commonly see. A common cause of heel pain is Plantar Fasciitis (inflammation of the fascia that joins the heel to the ball of the foot). Symptoms will often present as a sharp pain in the heel, particularly first thing in the morning when you put your feet to the ground. Plantar Fasciitis may result from biomechanical dysfunction which can be diagnosed following gait analysis and assessment. Treatment may include orthoses to reduce the stress on the fascia and in more complex cases further investigations and referral for advanced technologies such as shock wave therapy may be recommended. Metatarsalgia describes a pain in the ball of the feet affecting the metatarsal bones. It can be caused by overuse injuries and conditions such as capsulitis (inflammation of a joint capsule) and a neuroma (bundle of nerve fibres). 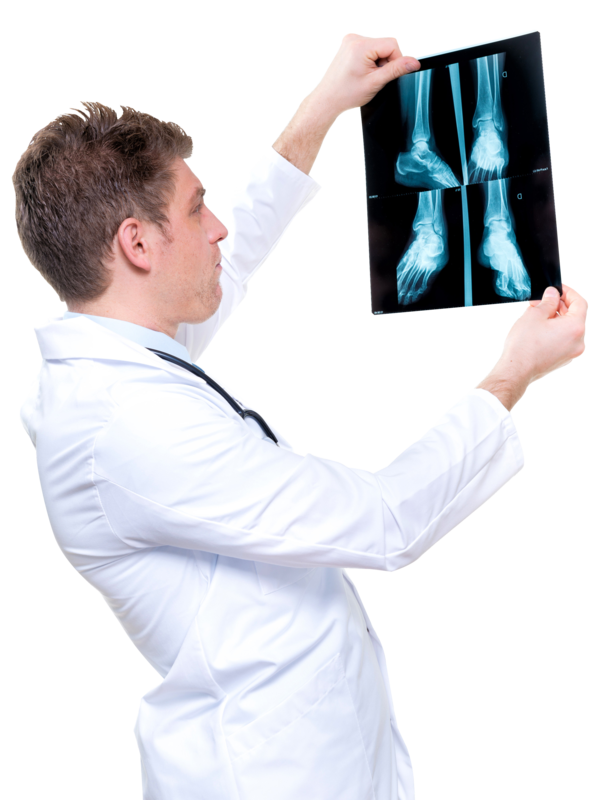 Where the pain persists, our podiatrist will complete a biomechanical assessment and gait analysis and may recommend orthoses which are very effective in resolving your symptoms. Exercises and injection therapy are two other possible treatment options. Acute ankle pain is usually caused by an injury such as a ligament strain. This may have occurred due to instability of the ankle and poor alignment of the foot and leg. A biomechanical assessment and gait analysis will identify any biomechanical dysfunction and orthoses may be advised to stabilise the foot and prevent future problems. The Achilles tendon is a large tendon located at the back of the heel and connecting your calf muscles to the heel. A tendonitis is a common overuse injury in runners and a full assessment and gait analysis will identify any dysfunction and the most appropriate treatment such as orthoses. Other therapies that may be recommended include physiotherapy and shock wave therapy. Pain in the knee can result from an overuse injury which will lead to tendonitis. A sudden knee injury can cause a torn ligament or tendon. Arthritic changes and bursitis are common reasons for knee pain in the older adult and may be related to poor function. A biomechanical assessment and gait analysis will identify whether any structural fault is the cause of the knee pain and orthoses can be used in the treatment. These will reduce the loading and the forces going through the knee by changing your walking pattern. Knee pain can also be the result of patella maltracking where the knee cap does not run smoothly in the groves on the front of the knee. Muscle strengthening exercises and orthoses to reduce the forces and loading are the treatment of choice. Also known as medial tibial stress syndrome, this is the term to describe pain along the inside of the shin. It is an overuse injury and can progress if left untreated. Poor mechanics, poor core stability and foot pronation (flat feet) are factors causing this condition. A full assessment and gait analysis will identify the main causes with recommended treatments including orthoses, physiotherapy and shock wave therapy. Low back pain is a common disorder which can involve muscles, nerves and bones of the back. Mechanical back pain can be a result of altered gait as we get older with poorer core stability. This can be identified following a biomechanical assessment and gait analysis. Re-education and use of orthoses to improve stability and function achieves good results and improves quality of life for the individual.